Oh I needed this in the worst way. 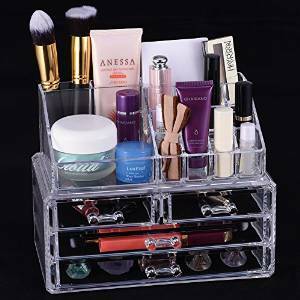 This Oak Leaf Acrylic organizer has a multitude of uses. Whether using it as a desk, dresser or makeup organizer it is perfect. So much space. 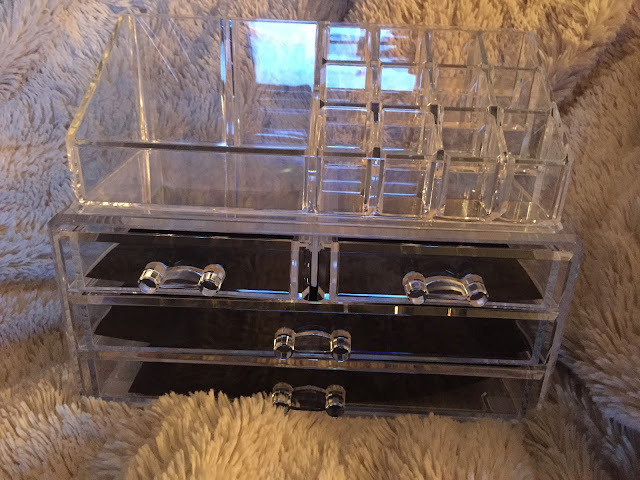 Currently I am housing my cosmetics in it but I have been thinking of using it at my desk for my post it's and markers. My daughter wants it on her desk for her eraser collection and my son thinks his new Peyton Manning cards would look great in it because he wants to keep them safe. We all have a reason to want to use it. Thankfully the price is great and with their birthday's coming they may be receiving one of their own because I am not giving it up. It comes boxed in shrink wrap and wedged between two Styrofoam pieces to ensure safety from breaks or cracks. It has 4 drawers. Two large and two small. As well as 2 large compartments on top and 12 smaller ones about the size of lipstick. Each drawer has a thin black piece of felt as a liner. I love the beveled edges of this and the little drawer handles rather than sharp edges and little ball handles. It makes it a nicer piece that you don't mind leaving out on your sink, dresser or desk. Disclaimer: I received a discounted product for my honest opinion. My reviews are 100% honest and true based on my personal opinion not on a company’s description or request. No monetary compensation was offered or received. 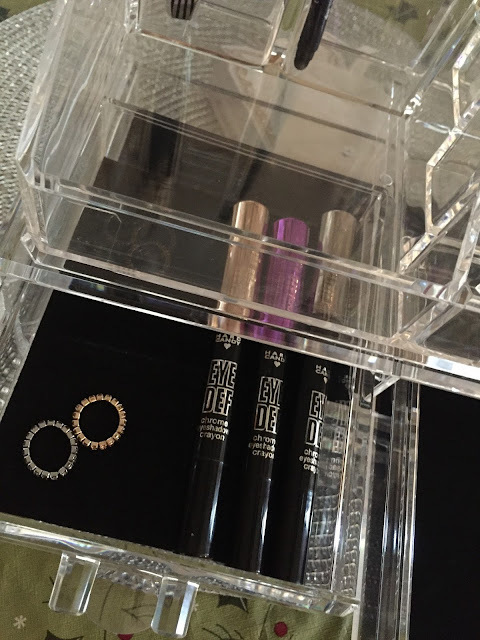 That looks like a great makeup organizer. I think my daughter would like to use it for her makeup and nail polish too. That's great that your kids want to use it to organize their things too. That's always fun when you and your kids like the same thing. Thanks for the review. That's so cute! It would look good on my dresser. (Love This Organizer from #oakleaf) One of these would be great for my daughter. I use to have something like this one years ago.